We are professional breeders and trainers of Australian Shepherds, Minature Australian Shepherds, Nigerian Dwarf Goats and Alpacas in Hunterdon County, New Jersey. We acquired our first Aussie in 2000 not realizing we were hooked. We adore this breed! 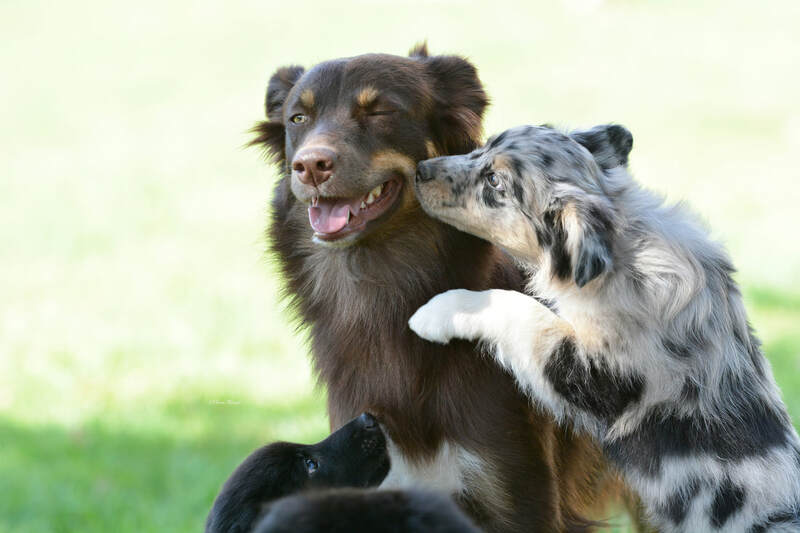 Lisa Wance, the owner, is a professional dog trainer and competes with all her Australian Shepherds in rally obedience, agility, herding and conformation. She owns The Prestigious Paw Dog Training LLC. Our dogs are our family. We live on a small farm and have 7 acres for our dogs to run, play and work on. We don't have puppies all the time, but when do we put a lot into our breeding program. We breed first and foremost for temperament and health. We have chosen our lines very carefully and want the best for all our puppies. ​Our dream has been to raise our family on a farm with family values and raise our kids and animals with the love and respect they deserve. We are so fortunate this dream has become reality and would love to share our passion with you.